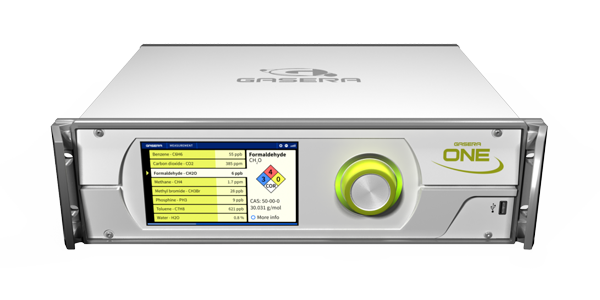 GASERA ONE is a photoacoustic multi-gas analyzer platform that can be configured to a wide variety of research and industrial applications. It combines the best of both worlds in the detector and the light source sides. 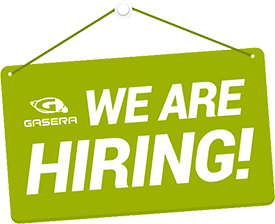 The unmatched performance of GASERA ONE is based on a photoacoustic infrared spectroscopy engine with a patented ultra-sensitive cantilever pressure sensor. GASERA ONE can be tailored to suit multiple applications by selecting optimal lasers and/or light sources. For even more complex measurement scenarios, several GASERA ONEs can be stacked and synchronized to provide an ultimate solution for your application. GASERA ONE provides the user with a simple and intuitive interface with high resolution display and a single rotating knob. In addition, the user can control the GASERA ONE wirelessly with smartphone, tablet or other devices.